Why did Jesus Cleanse the Temple? “Behold, I am going to send My messenger, and he will clear the way before Me. And the Lord, whom you seek, will suddenly come to His temple; and the messenger of the covenant, in whom you delight, behold, He is coming,” says the LORD of hosts. “But who can endure the day of His coming? And who can stand when He appears? For He is like a refiner’s fire and like fullers’ soap. “He will sit as a smelter and purifier of silver, and He will purify the sons of Levi and refine them like gold and silver, so that they may present to the LORD offerings in righteousness. “Then the offering of Judah and Jerusalem will be pleasing to the LORD as in the days of old and as in former years. 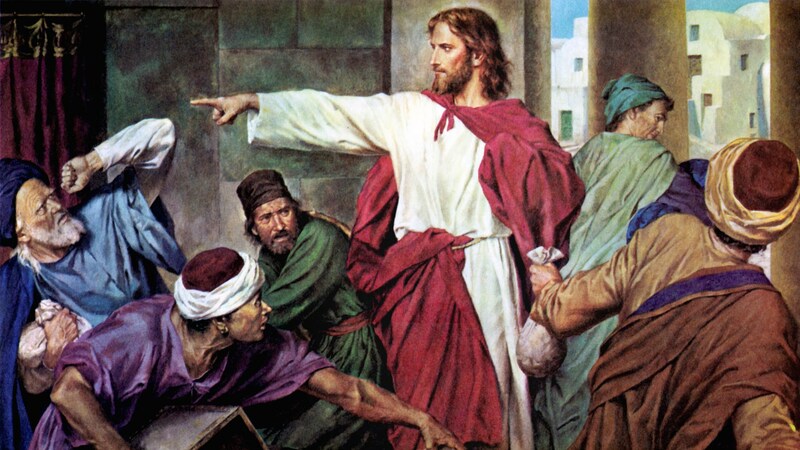 “Then I will draw near to you for judgment; and I will be a swift witness against the sorcerers and against the adulterers and against those who swear falsely, and against those who oppress the wage earner in his wages, the widow and the orphan, and those who turn aside the alien and do not fear Me,” says the LORD of hosts.” (Malachi 3:1-5). Jesus then declared that He is the living Temple of God. He is revealing the mystery of His incarnation, His mission of willingly giving His Holy Life for humankind. Jesus is the true Lamb of God without blemish whose precious blood cleansed us from of all our sins; by offering His precious life for our salvation, He gave us eternal life. Jesus foretells the destruction of the Temple that is His body on the Cross, His resurrection and the true Worshiping of the Temple of God, the Glory of the Father through His Son Jesus Christ in the heart of every believer. Jerusalem’s Temple was finally destroyed in 70 AD, when Titus and Tiberius Julius Alexander seized the city of Jerusalem and destroyed the Temple. However, the true Temple, with the worship of the Father through His Son Jesus Christ lives now and ever and unto the ages of ages. Amen. Next Holy Week Meditations. Holy Tuesday: The Barren Fig Tree.